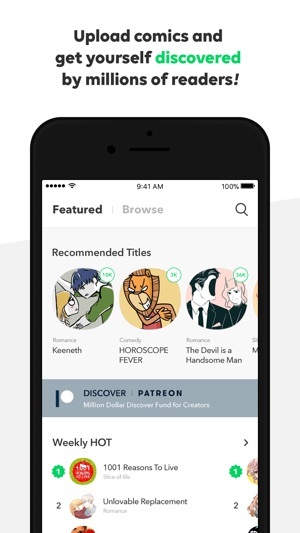 An amazing app for Manga/Comic readers!! So I got this app like 3 months ago and I still love it! The stories on here are so enjoyable. I think what I like most about this app is the fact you have features and discovers. Theres a genre range from Horror, Romance, Thriller, Comedy, and so on. There are like coins for you to purchase but that’s only when you want to read ahead on what is called a “Fast pass.” That lets you read ahead on the story. For example if say a Webtoon is updated on a Friday but now you have to wait a whole other week to read the next chapter. You can do that or purchase coins to get ahead of everyone else. I recommend this app a lot! 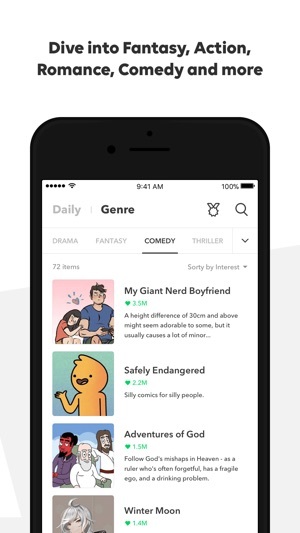 If you do get this app it’s best to start off with (these are my favourite Webtoon so far) either “Freaky Romance, Unordinary, and I Love Yoo” there are plenty more I can mention but these three would be best to start off with. 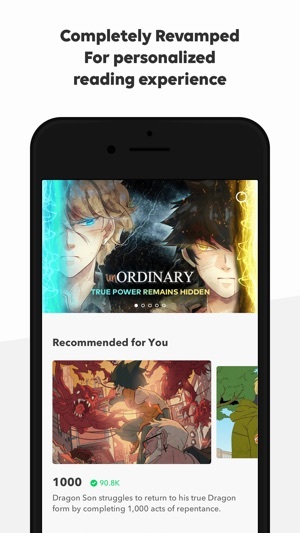 Webtoon is the best app that u can read amazing free comics the authors are incredible! And the so are the stories they wright and illustrate! I’ve always loved it ! And always will BUT -_- ugh we all know THE NEW RULE!!! 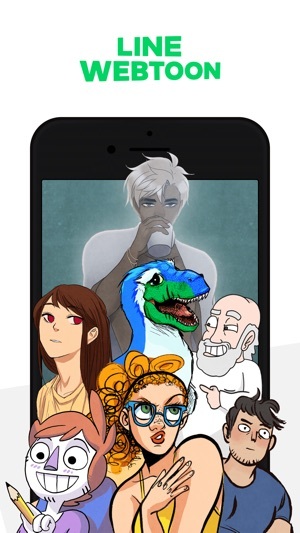 okay I understand webtoon is 9+ but have you seen some of the comics? ;-; there clearly 18+ and the new rule is making it hard for some Authors to continue their story’s! And there having to go to Tapas(and some Authors can’t) and the readers are also getting extremely mad at this rule and eventually webtoon is not gonna have 5 stars but 1 all were asking is to plz change the rule ! And we’re all gonna end up happy and I know for a fact that webtoon knows about this problem and the angry readers like me writing this over and over again until eventually u fix this. and webtoon if u know about this why won’t u fix it? Is it because maybe some kids find the 18+ comics and the parents write an angry complain about it? (First that’s on the kids -_- if it says 18+ it’s 18+) and maybe why u won’t change the rule but hear me out just make webtoon 18+ and maybe it’s not that simple and that’s why u won’t change it... but I will give webtoon 5 starts if u change this and so will everyone else Love u and always will! -_- till u change the new rule Love a reader who wants this to change. The New Policy Has To Go. 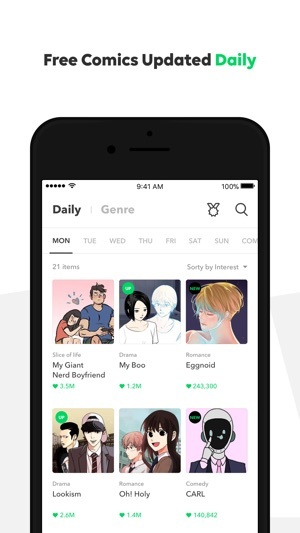 Im going to be clear and give my honest opinion about the app WEBTOON. Starting off by saying how much I love this app and all the different types of stories that are drawn out and written by some amazing authors. My experience has been stupendous. Everything was going great until this New Policy of taking down any NSFW content off of WEBTOON. It has made many authors take down their work which obviously took many hours and days to complete, and it honestly ruins the reading experience. Ever since people started reporting some stories that have NSFW content in them, this new policy appeared. I honestly want to say that the people who reported and obviously found the chapter or the images inappropriate, should have just exited out of the page. I mean it obviously says that the story will have mature content and if you want to keep reading or not, so why continue if you have been warned? There are many other types of genres that you can read so why not go and do that instead of reporting a story for your own selfishness just because it has mature content (which tells you beforehand). People who just report out of nowhere without caring or thinking about what might happen to the story are disgraceful. In conclusion, I think this app is amazing and I, and many other people would really appreciate it if you would please remove the policy. Thank You.